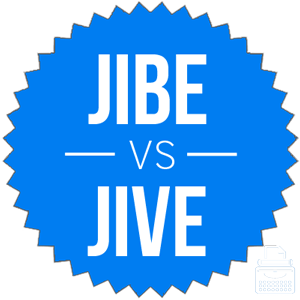 Home » Jibe vs. Jive – What’s the Difference? In the days of old, when alcohol sales were illegal and gangsters like Al Capone organized gunfights on romantic holidays, innocent Americans spent time dancing the night away, presumably stone cold sober. This sort of dance was called a jive. It was typically accompanied by jazz or swing music, and it was a lot of fun. Almost one hundred years later, though, language has shifted, and words sometimes change meanings. Should the word be jive or jibe? What is the Difference Between Jibe and Jive? In this post, I will compare jibe vs. jive. I will use each of these words in at least one example sentence, so you can see how they appear in context. Plus, I will show you a useful memory tool that helps when you need to choose either jibe or jive in your own writing. What does jibe mean? Jibe (rhymes with tribe) is a verb with multiple meanings. In the context of sailing, it refers to a method of steering that involves moving the sail into the wind so that the stern of the boat moves. Henry learning to jibe from a veteran seaman he worked with on a fishing boat one summer. Other times, jibe means to agree or be in accord. Sorry, Patricia, but your analysis doesn’t jibe with the data we obtained from the archive. “I think our date went really well; it felt like our world views really jibed,” said Kenley. Jibe has a homophone, spelled gibe. Gibe is also a verb, but it means to make a derisive remark. Adept writers are careful to keep these usages separate. What does jive mean? Jive, meanwhile, can be a noun or a verb. As a verb, it means to dance, especially to jazz or swing styles of music. As a noun, it has a related meaning: it refers to this type of dancing. Like this type of dancing, jive can feel slightly outdated to many people. When most speakers use the word, it is an attempt to appear kitschy and anachronistic, often for the sake of a performance. Marla spent many Friday nights doing the jump, jive and wail at the speakeasy near her office during Prohibition. Keith was so happy to have received a promotion that he danced a little jive right there in his boss’s office. Jive has an alternate meaning as a noun that refers to deliberately misleading or confusing language. The mysterious departure of the CEO was accompanied by a perfunctory letter to shareholders that contained little more than canned corporate jive. If you need a noun, jive is your only choice of jive vs. jibe. Both words can be used as verbs, however, so you will need to know the differences between them. Jibe means to steer a boat. Jive means to dance to swing music. Since jibe and boat each contain the letter B, there should be no problem remembering that jibe and boat belong in the same context. Also, the unrelated word gibe is about an insulting remark. Since insulting ends in a “g,” which is the same letter gibe starts with, you can keep this word separate from jive and jibe. Is it jive or jibe? Since the words are never interchangeable, you would do well to keep them separate in your mind. Jibe is a way of steering a boat. Jive can also be a verb, where it means to dance. 1 What is the Difference Between Jibe and Jive?